The ACC has long been known as a basketball power conference. When the conference added teams like Notre Dame, Syracuse, Pittsburgh, and Louisville it was thought of to make them the premiere basketball conference in America. The conference already had basketball royalty Duke and North Carolina in the conference, now it’s just a gauntlet to go through. This upcoming week, Notre Dame heads to Chapel Hill to take on the North Carolina Tar Heels in a battle of Top 20 teams. Notre Dame is having a resurgent season this year. The Fighting Irish are 14-1 this season through 15 games, where they were 10-5 at the same point last season. North Carolina is ahead of last seasons pace 11-3 record through 14 games while they were 10-4 at the same point last season. According to ScoreBig.com, tickets for this college basketball clash $77 on average on the secondary market. To get in the door all it takes is $27, which is not a bad price for fans looking for North Carolina tickets, especially given that both teams are ranked in the top 20 and the game is at the Dean Dome. This will be an early test to see which of these teams has what it takes to get through the ACC schedule. This game will be a contrast of styles. North Carolina likes to push the pace, and score as many fast break points as possible. Meanwhile, Notre Dame runs the burn offense, which is when a team burns down the whole 35 second shot clock. Notre Dame likes to slow the pace down, and make the defense work from side to side. It’s an early conference test, and both teams will have huge games coming up afterwards. 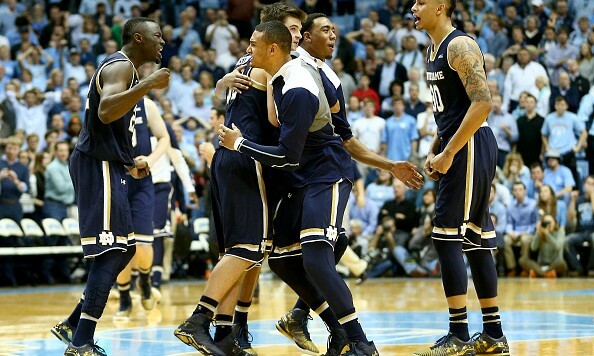 North Carolina will welcome in Louisville, and Notre Dame will host third ranked Virginia to Purcell Pavilion. Notre Dame will look to extend their winning streak to 11 games on Monday night, while North Carolina will be looking to extend their winning streak to six games. North Carolina will be looking for another win over Notre Dame after taking them down in their only matchup last season 73-62.